Click your initials in the bottom left corner and select Settings. Select New Late Fee at the top of the page. Apply Late Fee As - A late fee can be applied as a line item to the invoice that triggered the late fee or as a new invoice. 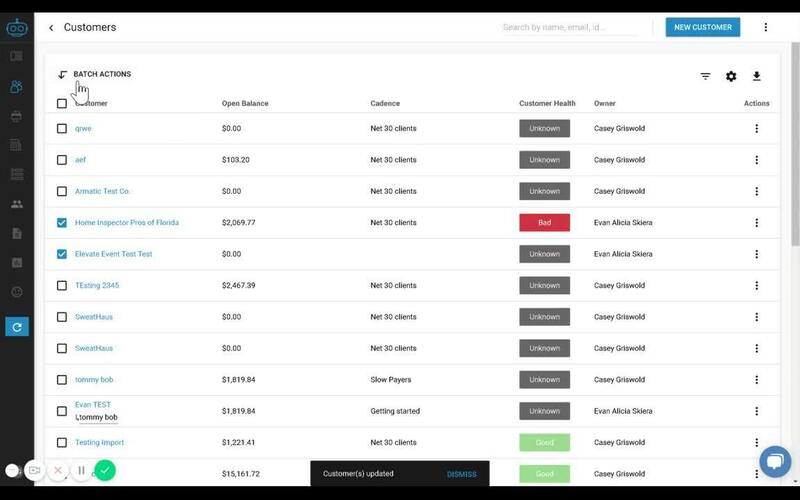 If new invoice is selected, the new invoice would also be subject to the late fee rules. 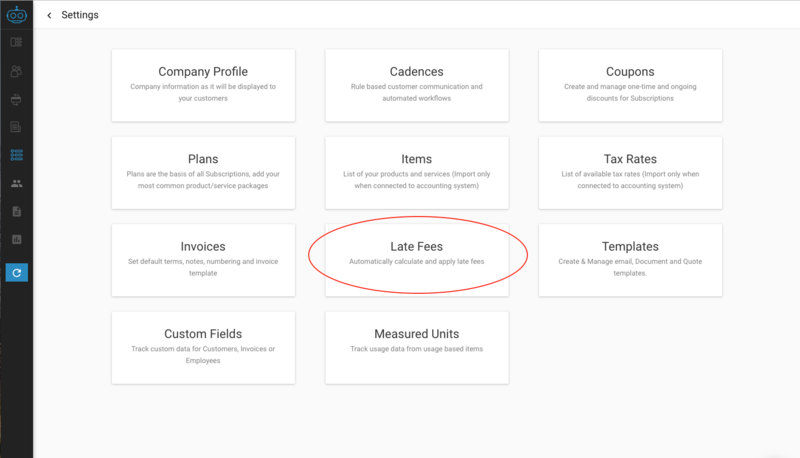 If you do not see an "Late Fee" section in Settings, late fees are either not enabled for your service plan (please contact us for additional information) or, late fees are not currently available for your accounting system.